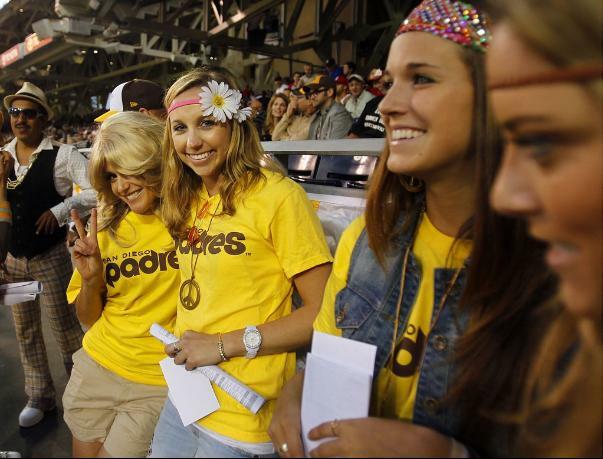 A lot going on in this past weekend of Padres baseball with the Angels in town. That one right there is possibly my favorite. Total power move by the Padres. Oh, you pitched a no-hitter a couple weeks ago? Who are you again? What do you look like? We’re not intimidated by you. Love it. (Don’t you dare try to tell me that was an accident… I’ll hear none of that. Yes, I know it was an accident). 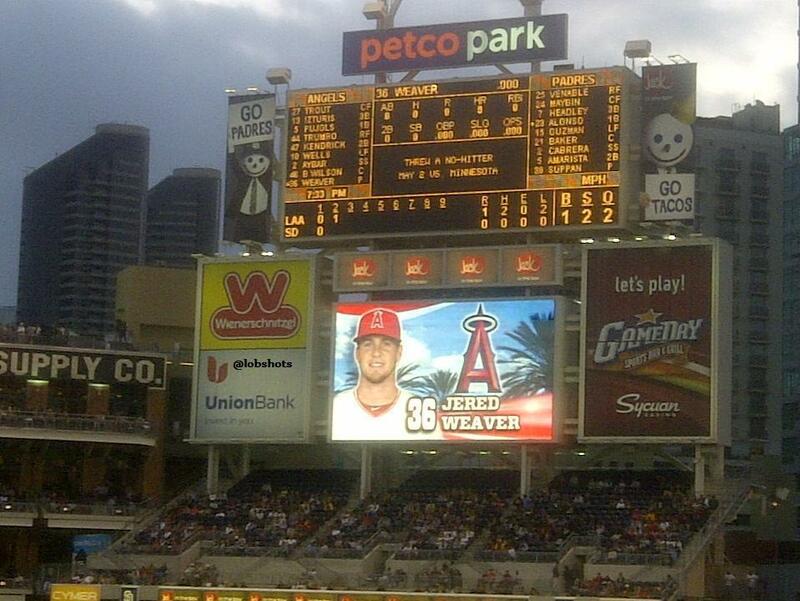 Pretty sure that’s Mike Trout, and 100% sure it’s not Jered Weaver. 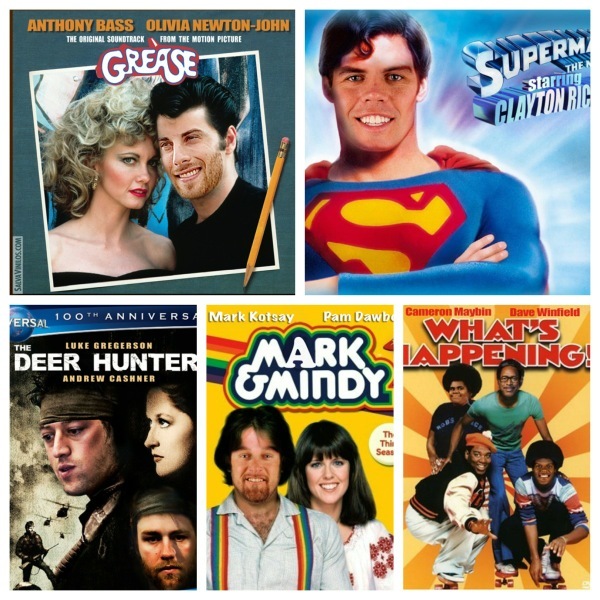 Second best moment was 70’s Night and the 1978 throwbacks. Freaking love ’em. Sad I wasn’t there for 70’s Night. Looked like a blast. 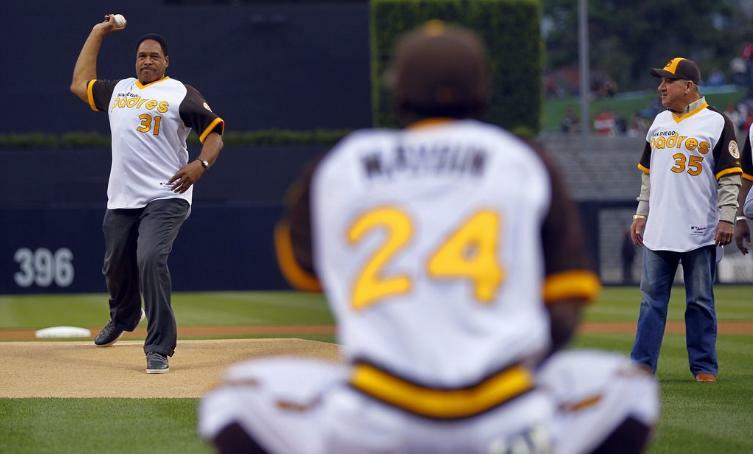 Dave Winfield is an intimidating individual… he played on that ’78 team, don’tcha know. Well this is just awesome. Love it. Insert player face [here]. So awesome. And for the third best moment of the weekend… Clayton Richard scoring from first in the 13th after getting a pinch-hit single. 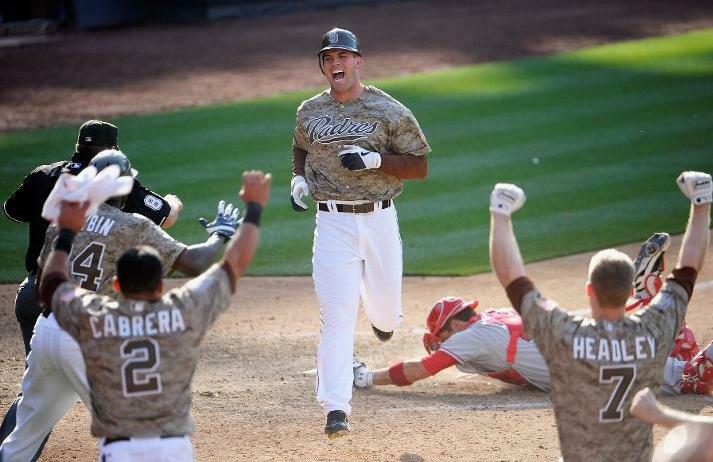 Padres win for the weekend, and it came in glorious fashion. Yeee-haw. Padres take a series from the Halos. This entry was posted in Baseball, MLB and tagged jered weaver is mike trout, Padres. Bookmark the permalink.